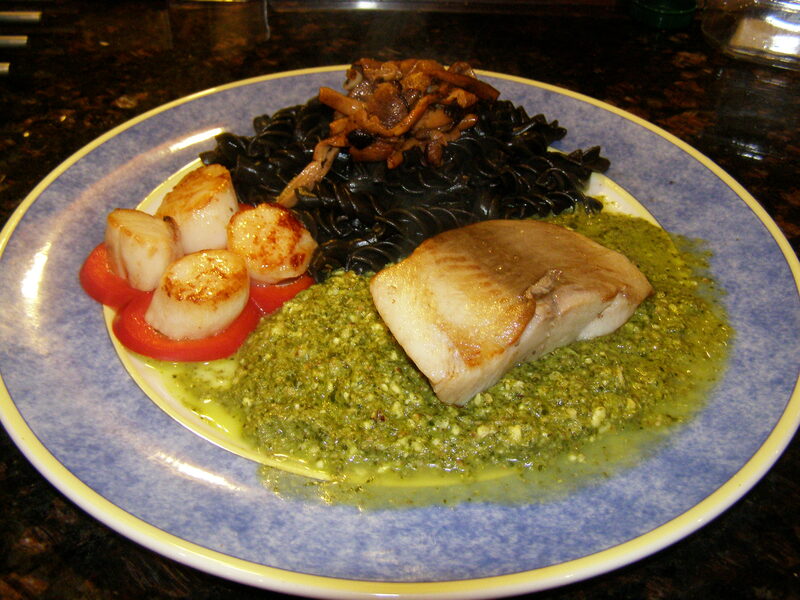 This entry was posted in Main Course and tagged black cod, food, hazelnut pesto, pesto, recipe, recipes, sable fish, scallops, valentine's dinner, verygoodrecipe. Bookmark the permalink. So beautiful to look at, as well as tasting delicious, I’m sure! You’ve outdone yourself this time, frog.